IQMS has been providing Program & Project management training services based on program & project practices framework. We cover all the phases of a project – from its initiation, planning, execution, and close-out, to the monitoring and controlling activities necessary throughout the project’s entire life cycle. We also provide project document templates and guidelines on how to use some program & project management software tools such as Microsoft Project, White Cloud System, and Project Administrator. IQMS Program management training also emphasizes the coordinating and prioritizing of resources across projects, managing links between the projects and the overall costs and risks of the program. Program management training may provide a layer above the management of projects and focuses on selecting the best group of projects, defining them in terms of their objectives and providing an environment where projects can be run successfully. 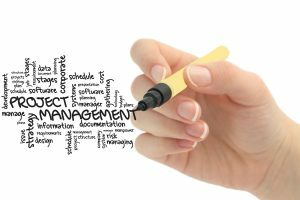 Program managers should not micromanage, but should leave project management to the project managers. A project is a temporary endeavor, having a defined beginning and end undertaken to meet particular goals and objectives, usually to bring about beneficial change or added value. The temporary nature of projects stands in contrast to business as usual (or operations), which are repetitive, permanent or semi-permanent functional work to produce products or services. IQMS Project management training is the discipline of planning, organizing, and managing resources to bring about the successful completion of specific project goals and objectives. IQMS project management training is often closely related to and sometimes conflated with program management. IQMS Project Management training process considers the traditional phased approach to identify a sequence of steps to be completed.